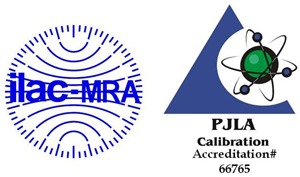 International Light Technologies has been calibrating illuminance meters for over 50 years. We offer ISO 17025 accredited and N.I.S.T. 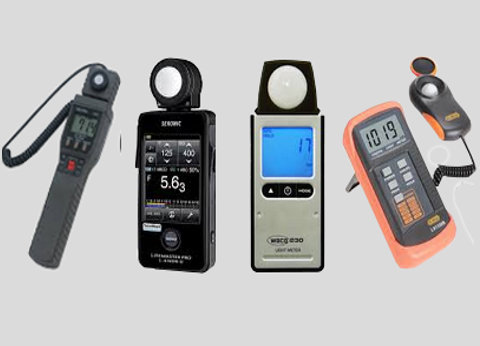 Traceable light meter calibration. Standard calibration includes lux testing at one intensity and comes with a full calibration report/certificate of calibration. Our lux calibration capabilities range is .001 to 20,000 lux. ILT can calibrate any model lux or foot candle meter that can measure within this range. Additional lux calibrations include linearity testing, multi-intensity testing at customer specified light levels, spatial response testing and spectral sensitivity testing with a plot of the sensitivity of the sensor and compare it to the CIE photopic and / or scotopic curve (not available for all models). ILT requires all orders be sent with an Return Materials Authorization form (RMA). Price quotes can be obtained by selecting "Yes" on the "Quote Needed Prior to Service" box on the RMA form; by emailing us at ilservice@intl-lighttech.com, or by telephone at (978) 818-6180 x118. Below is a list of commonly calibrated models. Use the drop down menu to jump to a specific meter manufacturer. Click on the meter name to request an RMA. If you do not see your manufacturer/meter listed, contact us at ilservice@intl-lighttech.com for verification prior to shipment.